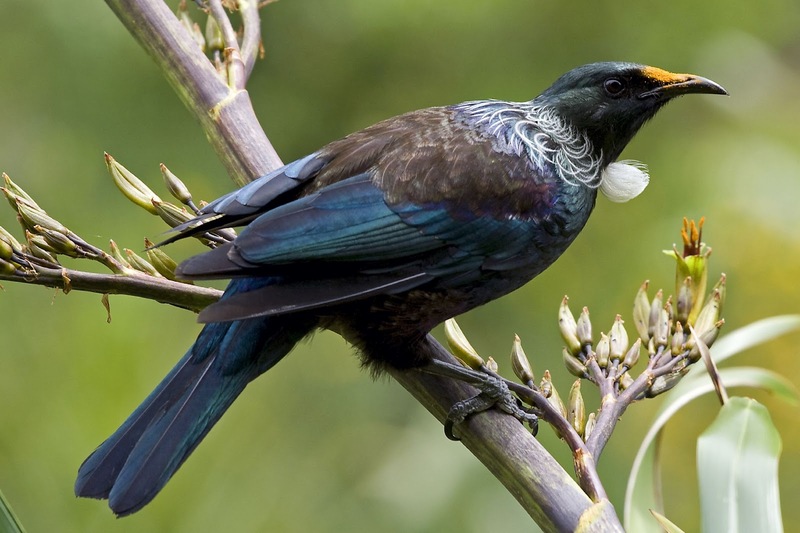 This is a Tui, a bird native to New Zealand, its key characteristics are the white tufts of feathers under its throat and its shimmery iridescent blue feathers. We also have Tui beer and Tui girls in New Zealand but I wont go into that too much as that really doesn't fit the theme of our blog. So to share a bit of our New Zealand uniqueness we chose this beautiful and special native bird. 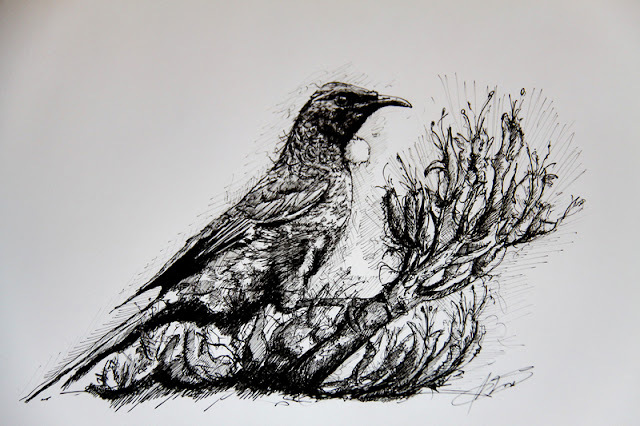 We also liked the bird related theme of nesting and turning your house into a home. So my talented husband Stefan was kind enough to draw a few options for us. Birds have had a strong influence on fashion so it wasn't difficult to find a lot of inspirational examples. Birdcages are bold statements as an accessory and make a quirky wall hanging. 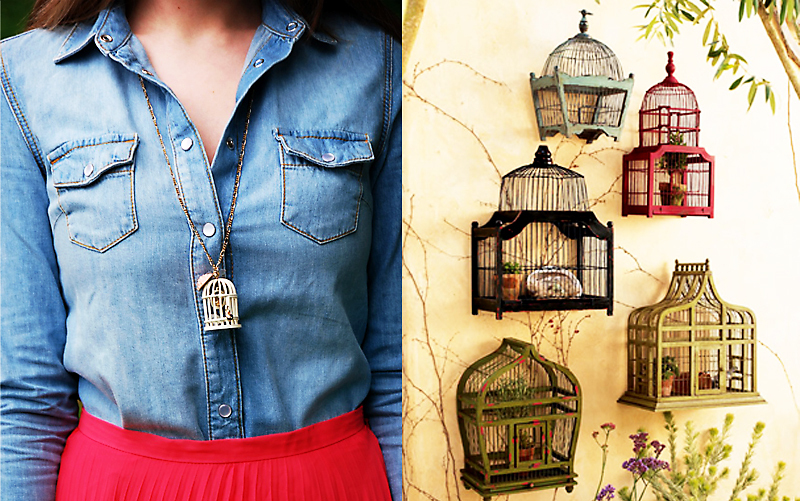 I must admit I'm not a fan of caged birds so I like this example with plants inside the cages instead of real birds. 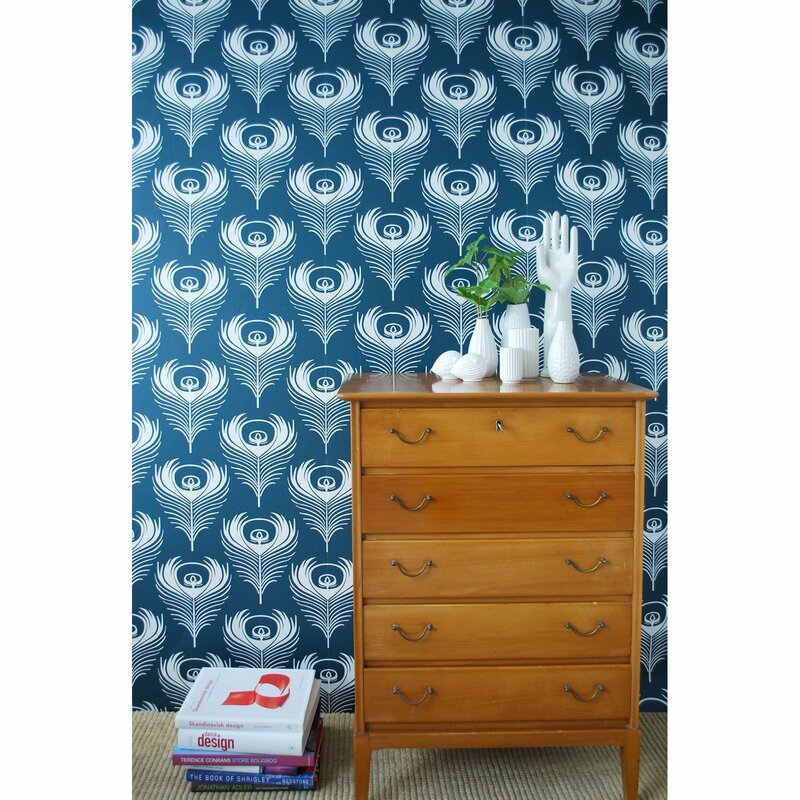 I love this feather inspired wallpaper from Modern Furniture. So bold and beautiful. 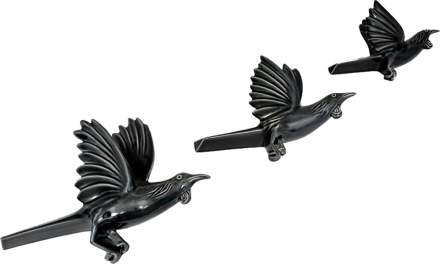 A New Zealand based designer Bob Steiner has gorgeous unique ceramics - these three flying Tui seemed a perfect modern take on the retro three flying ducks. 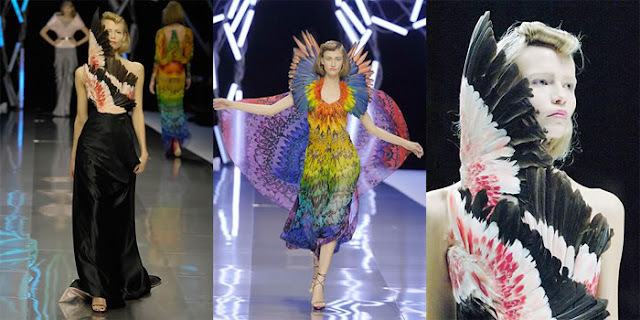 Now we couldn’t talk birds without including a bit on feathers in fashion. 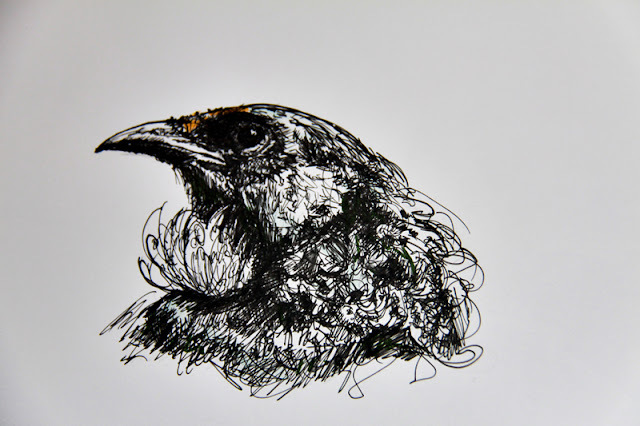 Beauty and the Green have some great examples of birds influencing fashion. The legendary Alexander McQueen’s 2008 spring collection took on an overt bird twist. However in real life it’s probably best to not go too literal, you don’t want to end up looking like Big Bird. Thanks so much for mentioning my post and blog here. I don't mind at all. I love your blog, lol, I'll be back! Thanks hun! Loved your blog and that particular post :) Keep in touch!